Don completed his mission here on earth and is now continuing that mission in Heaven. A man who always made you feel welcome, a very caring, compassionate person is now in a better place. He is having a long-awaited reunion with family and friends. He is in a safe place where he is socializing, enjoying coffee and reading to his heart’s content, a place where music, laughter and love are guaranteed. The best part – food is delicious and calorie FREE! Don was the first born of twins to Evelyn & Bud Skrove in Glenwood, Minnesota. His childhood was a busy one; his career choice was surely known at a young age given his participation in school patrol. He was also a member of the FFA & track team. He was a graduate of Alexandria High School and attended the University of Minnesota Morris for one year. Don then enlisted in the United States Army and proudly served his country during the Vietnam War as an infantry platoon leader. 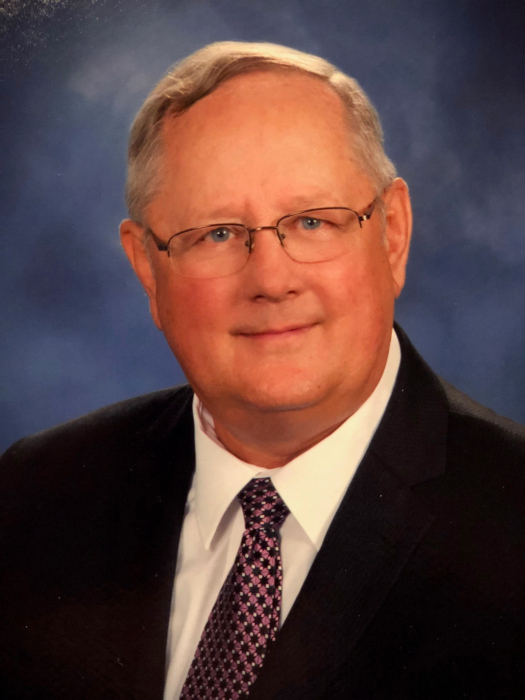 He continued his service in the military at Camp Ripley as Director of Schools, Commandant for the Winter Operations Program, and the Norwegian Exchange Programs. Don’s career as a State Trooper began in July of 1970. For thirty one years he protected his community and was a hardworking, giving man who was committed to his job. This continued into his retirement years as he was always doing something to give back to people and his church by serving on various committees. Don had a true appreciation for the outdoors which was evident in his love for hunting and fishing. Above all, he was devoted to his wife, respected and loved her unconditionally. He also had an unconditional love for his children and grandchildren. Watching his granddaughters dance brought a twinkle to his eye. He also enjoyed golfing with his siblings and taking his nephews fishing. Don’s message he would leave to us is “Do what’s right and do what’s good. Be kind and help others. The world can always use one more kind person.” He is in Heaven now, but looking down on us with his big “Don smile” saying, “Forge ahead and make the best of life. We have work to do up here too.” He lived a full and happy life until he was overcome by a disease that plagued him at a much too early age. We are honored to celebrate the dash between the day he was born to the day he died. Please do the same. Don is survived by his wife, Meredith; children: Kris (Theresa) Skrove of Hutchinson; Shari (Trevor) Wannebo of St. Bonifacius; grandchildren: Sarah & Rachel Skrove; Amanda, Eva & Meghan Wannebo; mother, Evelyn Skrove of Alexandria; brothers: Dave (Kathy) Skrove of Ramsey; Robert Skrove of Alexandria; sisters: Sue Klein of Alexandria; Carol (Wayne) Thoennes of Alexandria; Bonnie (Gaylen) Timm of Hutchinson; stepson, Eric (Kristi) Keiper of Maple Grove; step grandchildren: Annie & Ryan Keiper; sister-in-law, Mary Kay Meyers of Bonita Springs, FL; brother-in-law, Tom (Pam) Miller of Gilbert, AZ; and numerous nieces and nephews. He is preceded in death by his father, Warren “Bud” Skrove, in 2004. Visitation will be held on Thursday, September 27, 2018 from 4:00 – 7:00 PM with a Prayer Service beginning at 4:00 PM at the Anderson Funeral Home. Visitation will continue at St. Mary’s on Friday from 10:00 – 11:00 AM. Mass of Christian Burial will be held on Friday, September 28, 2018 at 11:00 AM at St. Mary’s Catholic Church. Burial will be at St. Mary’s Cemetery.